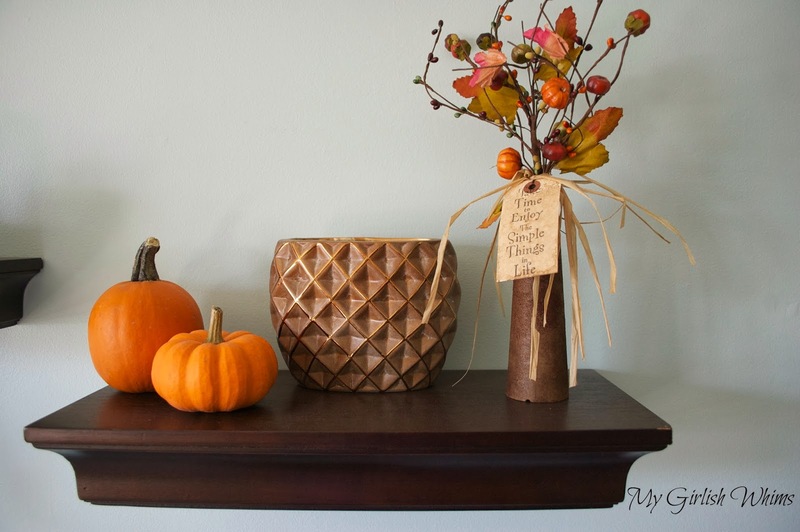 Well, since Thanksgiving is just a few days away I thought it was finally time to share my autumn shelf decor! Gotta document this before the weekend when everything gets switched out for Christmas decor!! I have floating shelves in my family room that I love decorating for the different seasons and holidays. 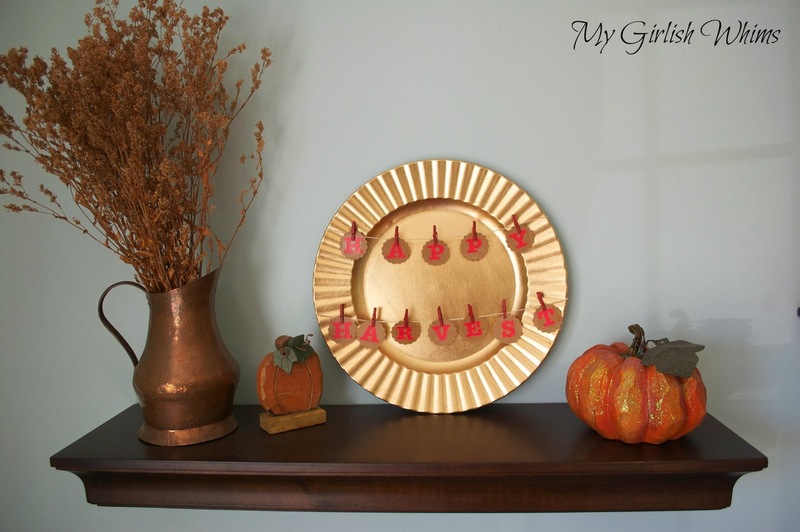 You can see my fall shelves from last year HERE. I'll be honest, I'm still working on refining my decorating skills. I'll always be a jewelry maker/crafter first - but I'm trying to get decent in home decor as well :) I like this year's arrangement much better than last year. I think adding more height and variation in my decor helped out this year! And on my last mini shelf I have two mini pumpkins from a local farm, the vase/candle thing is from Ross, and the little pumpkin arrangement is from a local shop. 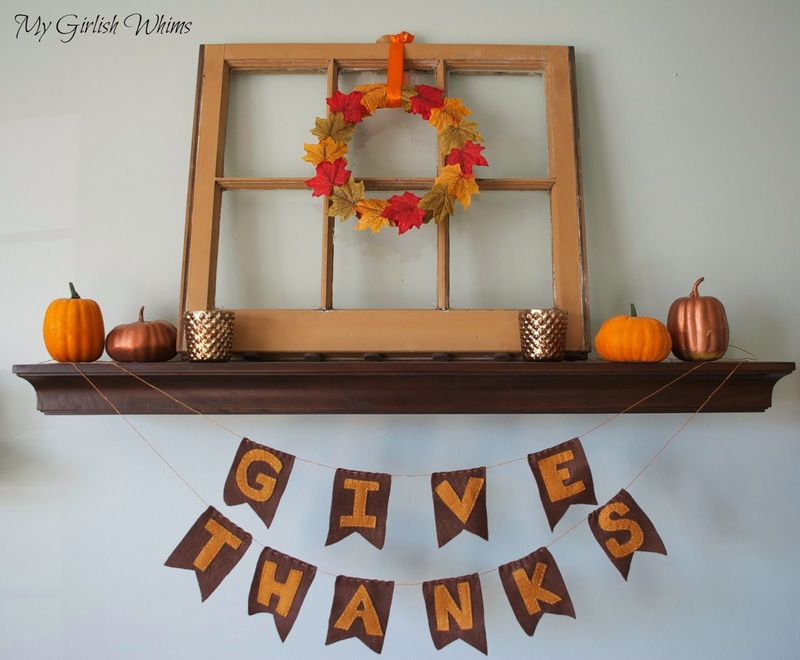 I had so much fun swapping out my "neutral" decor for the fall decorations - a sign that it's the holiday season with lots more decorating to come! !